These drink specials are easy on your wallet, but not so easy on your liver. 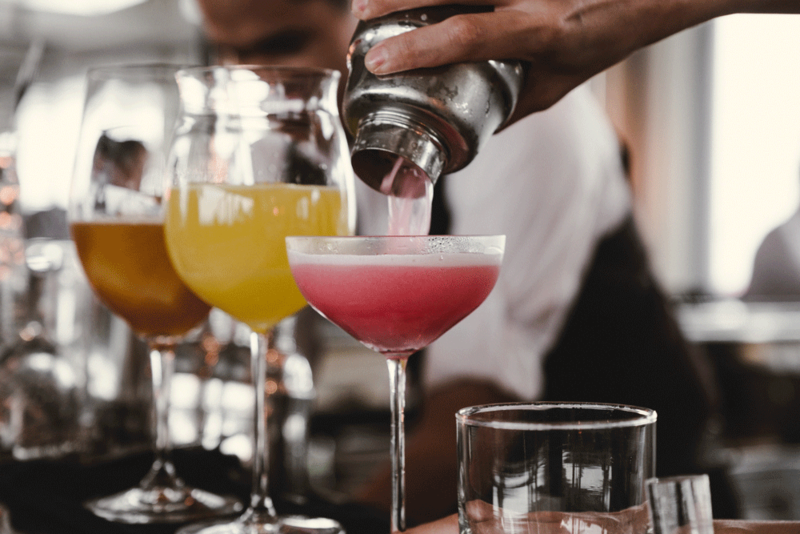 It's pretty expensive to go out and drink these days -- in fact, it's costly just to have a couple of cocktails or a boozy brunch. Thankfully, a number of Denver restaurants and bars offer drink specials so appealing that you might not even mind the hangover. We've rounded up our favorites. If day-drinking is just your speed, stop by Tupelo Honey Cafe. In addition to fried chicken and other Southern eats, you can get as many as three martinis for just $0.75 each when you purchase a meal. We're betting you won't stop at two. Every Wednesday is "flip night" at The Front Porch. That means you can flip a coin when you order your drinks, and if you guess correctly, your drinks are free. It doesn't get much better than free alcohol! You can also drink for free all night if you find your name on the Name Night Calendar. If the weekend rolls around and you're in the mood for a boozy brunch, The Irish Rover has the absolute best deal on bottomless mimosas. With the purchase of food, get all the bubbly goodness you can handle for just $8. You can also opt for a $3 bloody mary on the weekends, and there are additional drink specials throughout the week as well. At Hapa Sushi, their drink selections are right up there with their delectable sushi selections! Between Hapa's $5 10oz hot sake flasks, $7 fruit-infused 10oz sake flasks, $3.50 Hapa beer, and $5.50 sake cocktails, you'll be set. View their happy hour menu. The Hornet is another great spot for brunch on South Broadway, what with the $2 make-your-own bloody mary special and $3 mimosas. There's also happy hour specials twice per day and nightly drink specials that are sure to turn heads. Happy hour (4-7 p.m.) is a busy time at Max's Wine Dive, and for good reason: You can get $5 glasses of wine along with other drink specials. Line-dancing and beers, anyone? Check out The Grizzly Rose on Tuesday nights and get $1 draft beers all night long. From 9 p.m. to close on select days, the Piper Inn has incredible drink specials! On Sundays, you can get a $2 PBR; on Mondays, $6 Pitchers of Bud/Light; Tuesdays, $2 Green Tea Shots; Wednesdays, $4 Jack & Jim Beam; and Thursdays, $4.50 Vegas or Jager Bombs. Early evening and late night specials include everything from $2 beers to $6 cocktails. You can also get a cheeseburger, grilled cheese, falafel sandwich, or fried chicken with fries and a beer for only $7. Considering the drinks are already ridiculously cheap at PS Lounge, $1 off drinks during happy hour is a great deal. Ladies also get a rose and a free shot. Happy hour at The Lobby has a ton of choices, from $5 wines to $3 mimosas to $3 and $4 beers. You can also get a shot and a beer for just $6. There are also bottomless mimosas each day for $12. Get $8.50 bottomless mimosas daily when you order a meal at Breakfast on Broadway. The best deal on single mimosas is available at Las Margs on weekends -- they're just $1 each, and bloody marys are only $2. You can also get $4 margaritas on select days. What are your favorite drink specials in Denver? Let us know in the comments.